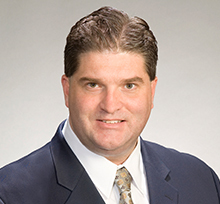 Kevin Joyce focuses his practice on real estate finance and capital investment, including loan restructurings and purchases of distressed debt. His real estate experience encompasses a broad spectrum of real estate development and leasing, property acquisition and disposition, and zoning and land use matters. Kevin also advises clients relative to real estate private equity fund formation and investments, joint ventures, partnership, limited liability company, and other general corporate matters. Kevin represents clients in the energy, renewable energy, telecommunications, hotel, and retail and shopping center sectors, among others. He has been the lead lawyer on several significant development projects, which include mixed use retail and residential projects, hotels, commercial office buildings, and data-centers. Kevin has substantial experience representing owners and developers in seeking permits and approvals for projects located in the City of Boston, including extensive experience with the Boston Redevelopment Authority Article 80 process. In the energy and telecommunications industries, Kevin has represented, among others, developers and owners of gas-fired power plants, developer and operators of distributed antenna systems; and tower development and operating companies. Representation of DivcoWest in the purchase of four (4) office buildings which comprise 373,000 square feet, located in the Fort Port Channel area of Boston’s popular Seaport market. The four (4) buildings, all converted warehouse buildings, were previously used by the Boston Wharf Company. The transaction involved the assumption of existing securitized debt on multiple buildings and the negotiation of new debt on one building. Representation of DivcoWest, a private real estate investment firm, in the purchase of the remaining portions of the Seaport Wharf portfolio in Boston from Archon Group. The Seaport Wharf Portfolio consists of two office buildings, 319 A Street and 327-337 Summer Street, totaling 133,718 square feet and a 650 space parking garage located at 10 Necco Street. Representation of DivcoWest and its JV partner, Brickman, in connection with the purchase of three (3) office buildings located in New York City’s Midtown South submarket: 24-28 West 25th Street and 40 West 25th Street. The buildings were sold by Einstein College at Yeshiva University. Representation of DivcoWest on US$ 395 Million Purchase of One Kendall Square, Cambridge. Counsel to a national opportunity fund in partnership with a local joint venture development partner in connection with commercial real estate financing and leasing matters, including acquisition loan financing and subsequent restructuring of the senior loan. Counsel to a local real estate investor and developer in connection with formation of a joint venture to acquire senior debt position and to execute a deed-in-lieu transaction on a commercial office building in the Financial District in Boston. Counsel to a major utility in the permitting and development of one of Massachusetts’ largest utility grade ground-mounted solar generation facilities in Boston (Dorchester), Massachusetts. Counsel to a publicly-traded REIT in connection with land and in-place asset acquisitions. Counsel to the developer of the Ames Hotel at the historic Ames Building on Court Street in Boston for the renovation and conversion to a boutique hotel, including negotiation of the joint venture agreement, review and structuring of historic tax credits, and related matters. Counsel to a national developer in the development, zoning and permitting of a proposed mixed-use project in South Boston containing 245 residential units with off-street parking and neighborhood retail amenities. Counsel to joint venture developer in connection with the purchase of the historic MWRA Waterworks buildings in Chestnut Hill and the development, zoning, and permitting of a mixed-use development known as The Waterworks at Chestnut Hill.